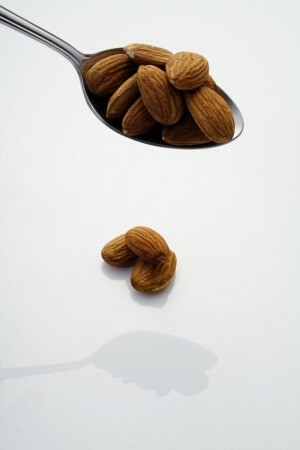 Almond extract is often used in baking. If your recipe calls for it, but you don't have any, perhaps you can use another flavoring. This is a guide about a substitution for almond extract. I'm allergic to nuts and there's a recipe that calls for vanilla extract and almond extract. What are good substitutions for the almond. Maybe extra vanilla? I would suggest vanilla. There is also chocolate extract and mint extract. It will taste different, but still delicious. I've done vanilla extract with a couple drops of liqueur before just to give it that amaretto dimension. Works well! My hubby has a nut and chocolate allergy. We use vanilla frequently as it is a flavoring he can have.. Just the regular amount, not doubled as that usually makes it too strong. Depending on what you are making, there have been recipes where I have added cinnamon or ginger or spice quality orange peel if I needed an extra flavor. The liquid from extract is so small that I wouldn't worry about it from that perspective. Happy baking! They also sell Imitation almond extract. Question: What Can I Substitute for Almond Extract? Is there some kind of substitute for almond extract? You can substitute vanilla; I would add half again as much vanilla as the almond. You'll lose the almond fragrance, but vanilla works nicely, and goes with most flavors! I'd be curious to know how adding almond flour would work... just grind up some almonds in your food processor and do half regular flour and half almond flour. Almond extract has a strong flavor so you can safely use double amount of vanilla flavoring or equal amount of vanilla extract.